Well maintained soil could be the difference between a dreary, suffering garden and vibrant one. Consider soil as much of a living organism as the plant life it supports, because to get the best out of it you’ll need to continually make sure it’s got the right nutrients, moisture levels and even warmth. There’s no real big secret keeping soil healthy and happy. It doesn’t require a green thumb, so much as simple gardening insights and the virtue of patience. Luckily, even the most damaged soils can be revitalised with proper care. Why should a homeowner even bother with gardening in the first place though, some may ask? Well, a beautiful garden makes a huge visual impression and speaks an individual’s ability to create and execute a vision (not to mention can significantly raise a property’s value). A functioning garden ecosystem can give you not only a source of home-grown food, but also an environmentally conscious way to get rid of organic scraps. The reasons to maintain your soil to get a perfect garden are virtually endless. With that said, here’s an overview of some easy tips you can take onboard immediately to give your soil the edge it needs to support a luscious garden. A doctor performs a thorough diagnosis before prescribing any course of action. Likewise, one of the first things you should do is to get your soiled tested for its pH levels. This can be done easily with soil testing kits available at most large home supplies chains. This requires you to get samples of soil from various spots in the garden, drying them out and depositing them into test tubes filled with pH indicators. Similar tests are done specifically for crucial mineral elements like nitrogen and phosphorus. Soils that are over 7.0 means that the soil is has turned alkaline, indicating that the soil is missing crucial macronutrients like nitrogen, phosphorus, potassium and magnesium. Knowing what your soil is missing can help you focus your efforts onto addressing the root of the problem. Leaf Mold: This is broken down leaf material which performs a similar role to mulch, but is composed entirely of leaves. Getting these set up won’t require much time or investment at all – all you’ll need to do is purchase or create a dedicated compost bin, as well as a storage area for organic materials. Introduce some compost worms into the bin along with some organic material, and allow nature to take its course over a couple of months. Soil conditioners are cheap, effective and environmentally conscious ways of reintroducing nutrients and protecting soil integrity. As mentioned before, soil should be thought of as a living organism. It will feed directly on the nutrients supplied by organic materials (like leaves and food scraps), which break down over time to constituent parts and become a part of the plant life cycle. A fairly straightforward way of giving your soil the food it needs is to simple use organic materials that may be lying around. Things like food and plant material, leaves left over from the autumn can be cut up into smaller digestible chucks and tilled into the soil. Soil will need to be aerated every year or two to de-compact the soil, letting vitally important oxygen, water and nutrients get to plant roots. This also improves the strength and density of the roots. Specialised aerator tools exist to help you perform this job, and operate best when the soil is still slightly moist. They work by creating plugs in the soil, which should be raked over afterwards with a mix of compost, soil and other organic materials. This is fairly straightforward. Always be attentive to the growth of weeds because they deprive your soil of water and nutrients for nothing in return. For a domestic garden, it’s advised to avoid pesticides, especially when growing food materials. Instead, mulches are important here as they deprive weeds of the light they need to grow, whilst composts come loaded with natural pesticides. Weeding is most easily done after a spot of rain, and will weeds die internally once dry. There are many easy and convenient ways to get your soil performing as well as possible; it just depends on what your soil needs at that particular time. Close attention and patience are your most vital tools here. 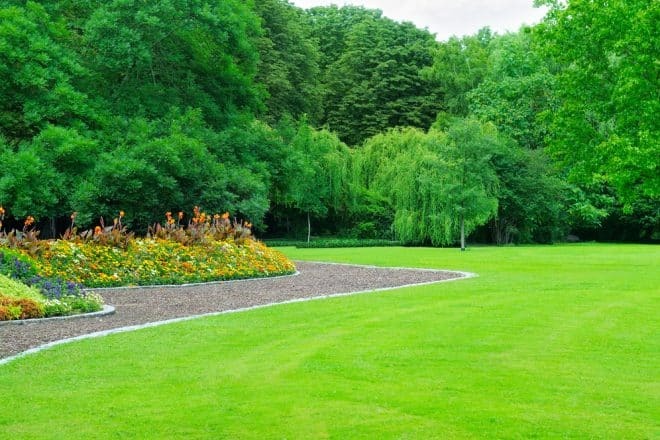 For more insights on maintaining beautiful lawns, contact Everlast today.